You no longer need a boarding pass (or tolerance of long bus trips) to get into MoVida. 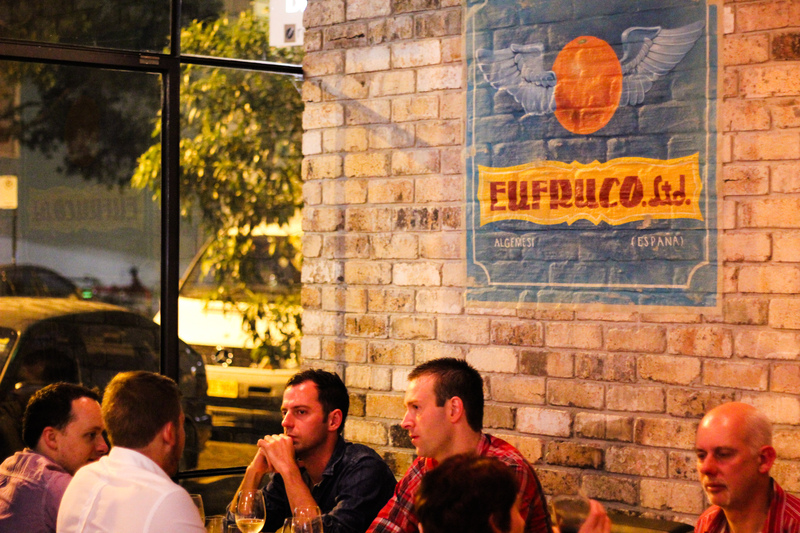 The well-regarded Melbourne institution has just opened its first NSW outpost in Surry Hills. And while it’s less than a week old, MoVida Sydney arrives with a robust, in-built fan base – the type that will excitedly single out favourite dishes on the menu, offering a marathon of recommendations in the same way a music fan races through an album, fast-forwarding to their favourite songs and already planning the mixtape they will make you. That MoVida has many devotees is no surprise – the original tapas bar has netted many admirers, awards and good reviews since it first opened in 2003 and the unending demand has seen MoVida’s executive chef and owner Frank Camorra expand his culinary empire to also include a bakery, taco joint and airport restaurant. The Sydney offshoot may have just opened on Tuesday, but enthusiasm levels hit peak level fast. The phone line wasn’t in working order when I rang earlier in the week to attempt a booking, so I thought the best bet was to turn up super-early and try for a spot in the non-reservation area on Saturday at 6pm. But MoVida was so popular that there was already a two-hour wait by then. No big deal – I was happy to put our names down and come back after a detour. Especially as 121BC is only footsteps away and an excellent place to enjoy a drink and some seriously quality snacks. But, even at this point, that bar had filled up, too. I thought it was pretty funny that it was only 6:09PM and I already had my name on two waiting lists. But it’s no bad thing that Sydney has a vigorous, round-the-clock appetite for dining – at least in this stretch of Surry Hills. So, just a block away, we came across Ho Mei, the new Asian eatery that had newly opened the night before in the spot that El Capo used to be (RIP to its three-milk cake, aka the Ryan Gosling of desserts). We had a few snacks (like Wasabi Mushrooms) and sipped a Watermelon Ice Tea, while frantically keeping watch over my phone, in case 121BC rang. We were told the wait would be 30 minutes or less. So we went through a crazy round of speed-eating, drink-skulling and raced back to 121BC. Only to find out it’d probably be another half hour. So – next stop, the nearest pub (The Dove and Olive) to kill some more time, in liquid-destroying fashion (of course). Eventually, 121BC called, we had an awesome time (as usual), although the difficulty was restraining ourselves because we were still planning to have dinner at MoVida. So by the time 8pm hit, the restaurant was already our fourth stop in two hours. But, my god, it was worth the wait to get in. I like it when a restaurant inspires such devotion that diners can’t stay straight-faced or stop their enthusiasm from breaching containment lines – they find it truly impossible to hold back and need to tell you what they’d recommend, right now. For instance, when we got to MoVida Sydney, the diner sitting next to us happened to be a serious fan. A Melbourne native (and hobby winemaker), he claimed to have been to the original MoVida around 100 times since it started. And he was compelled to tell us what we had to try. Like the Roasted Baby Local Squid with Black Rice ($17) – for him, it was an unbelievable dish and he couldn’t quite get over the fact he had never seen this outside of Spain and yet, here it was, in front of him. He also raved about the famous Chocolate Ganache Pudding, which isn’t on the menu in Sydney, but judging from his memory carousel of spectacular experiences of the hot ganache – it totally should be. 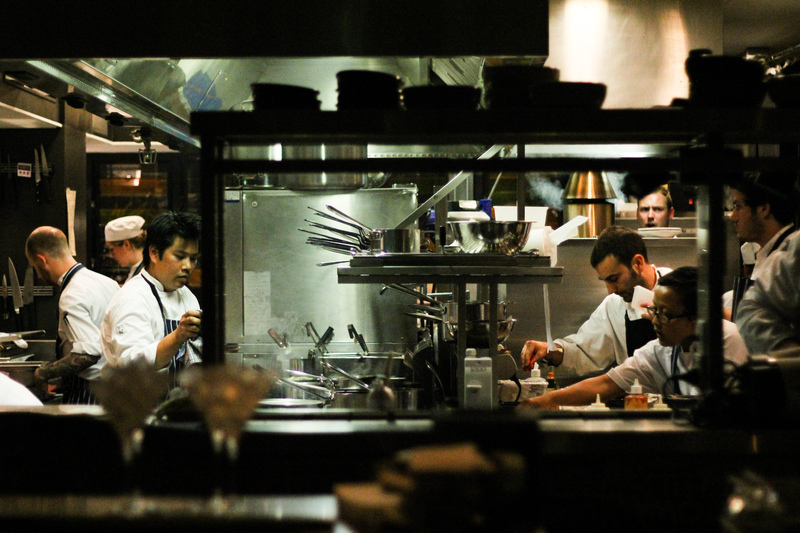 And once you eat at MoVida Sydney, it’s no-brainer easy to see why this tapas institution inspires such cheerleading. The food is damn good. Everything is extremely well done and classically brilliant – but with enjoyable, lots-to-like twists; in fact, there’s also a great vibe that rushes through the whole place. 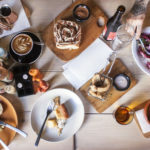 It made me think about Sergi Arola’s observation that “tapas is a way of life” and how company and atmosphere can play just as vital a role as the food you’re sharing. 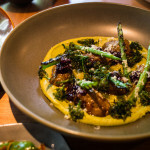 And I feel that translates exceedingly well at MoVida Sydney – especially with the live thrill of the open kitchen setting (where you see Frank Camorra in command) and the brisk but totally smart service. This place has such buzz, it’s surprising you’re not static-charged everytime you get up. And as serious as the kitchen is about its menu, you don’t feel like you need a permission slip to actually have fun here. 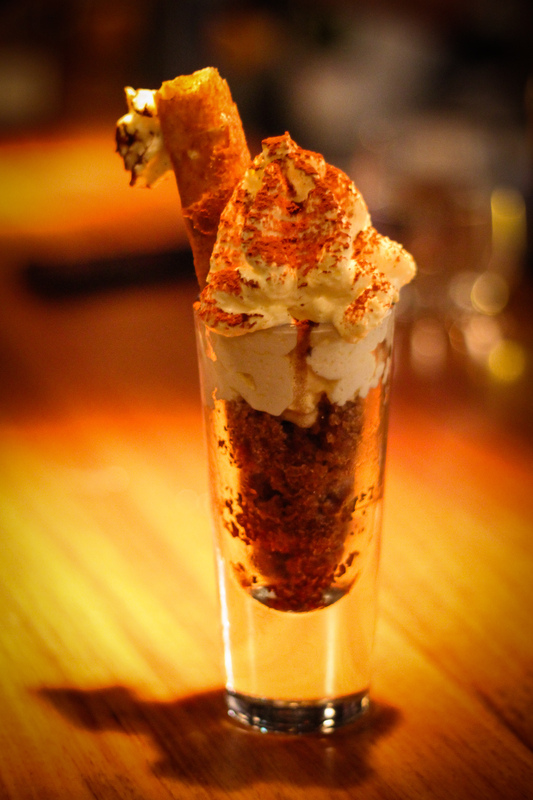 Like, how could you not enjoy the Goat’s Curd & Quince Cigars ($5 each), which are a candied and cheesy delight? 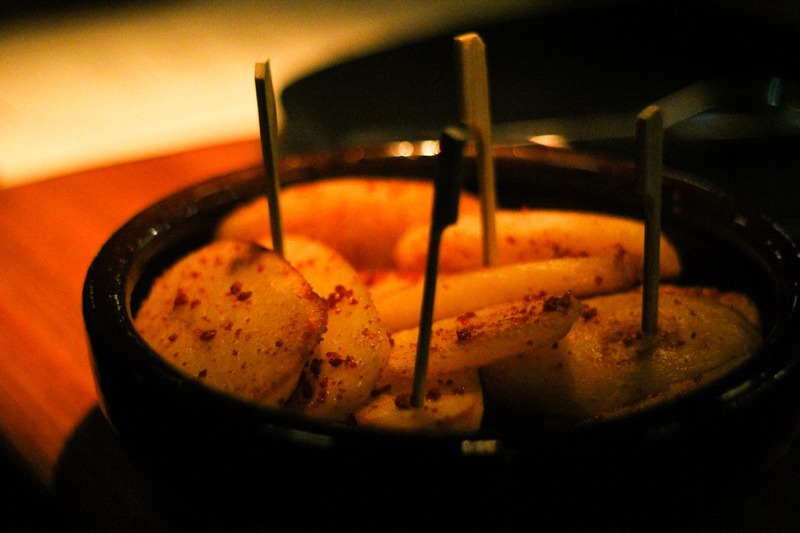 Or the genius Patatas Bravas ($16), made extra smoky and flavoursome with a savoury confetti burst of “faux bacon dust”, which is actually produced from a flavoured and dehydrated layer of soy? 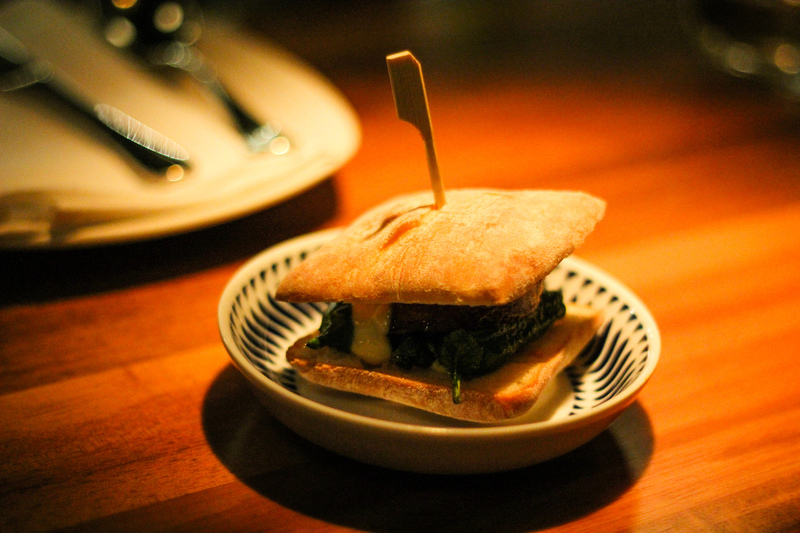 Also, the Grilled Chorizo and Padron ($7) is such a dreamboat of a sandwich that Will’s enthusiasm for it even convinced our dining neighbour, Mr MoVida Authority that he was, to order it. Not everything needed to have a quirk or angle, though. Will found that the slices of artisan-cured pork sausages ($14), just paired with good bread, was simplicity at its salty best. It’s totally necessary to mention how good the service is, too. 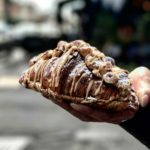 There was a minor slip-up with our order (the waiters had somehow mislaid it), but I was relieved on discovering this – MoVida was our fourth venue that night and we were not totally empty-stomached when we’d arrived. So I was actually happy for this unplanned break from dining – this eating reprieve. I even told them that it was fine what had happened. Yet the waiters were really on it, as soon as they realised our order had gone M.I.A., they rectified it instantly, and the food actually came out in record time. Also, they gave us two desserts free, even though we were completely unbothered by the missing order and did not complain about it at all. In fact, they were nicely insistent on how we had to have those two final courses on the house. And, one of the waiters was particularly an ace. We had gone a bit overboard on ordering and Will realised, in stomach-clutching hindsight, that he may not have needed the Beef Cheek in Pedro Ximenez with Cauliflower Puree ($24) that he’d already asked for. But, our waiter, with his genius sensibility, had guessed that the beef cheeks might have been too much for Will and actually put a hold on the dish, in case he didn’t end up wanting it. (It’s also a fast order, should Will have been totally gunning for extra food.) That’s the kind of slick and intuitive service that you are won over by. Desserts were good, too: a tart that oozed with pear and almond fondant was a “fancy” version of a regional sweet from Galicia (the very same place in Spain that the pattern-heavy serving plates were from) and a Coffee Granita ($12.50) came with Creme Catalan foam – which turned out not to be some wussy, bubbles-and-nothing affair but a heavy dairy hit from a cream gun. It was a glass of totally untamed fun. And, ‘cos I’m such a slow eater, it ended up becoming an accidentally Spanish affogato in a way. So we had an excellent dinner and became instant MoVida Sydney converts by the night’s end. It’s obvious how MoVida Fever could catch on in this city as wildly as it has in its native Melbourne. 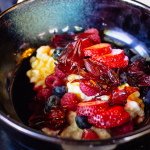 In fact, on your next visit to MoVida Sydney, we might be the ones treating you to an onrush of recommendations – enthusiastically gesturing towards all the dishes that you really have to have. all my fav dishes when i went in melb 🙂 very excited since it’s close to work, hoping they’ll have lunch specials too! Sounds like quite a night! 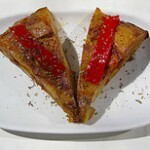 So excited that MoVida is finally here and to hear your recommendations, and those of the mega-fans, hehe. Still yet to try 121BC but will definitely have to by the sound of things…..